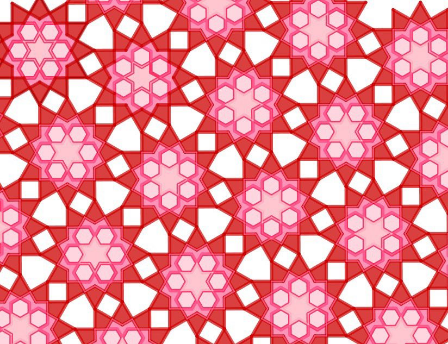 Simon Gregg's nice rendering of this classic Islamic tiling got me wondering how to generalize it. 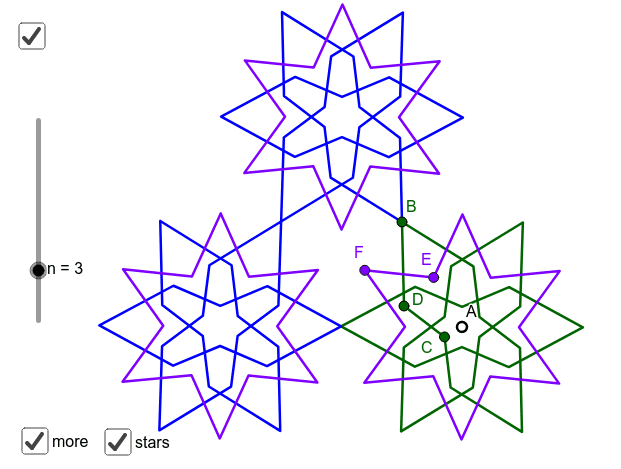 Often what you find is that the original geometers made some ideal choices, but this pattern had a lot of nice symmetries for other choices, too. Simon's tweet Which responded to Jim Nobles' nice GGB tiling. 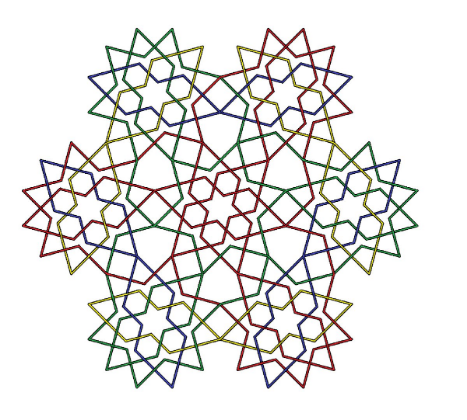 The Ayyubids were a dynasty in what is now Syria, but I can't find a photo of this pattern in a historical context.